Does something count as a TBR list if it’s simply a list of library books you haven’t gotten around to requesting yet? If so, today’s post is going to be a simple one! I’ve been meaning to read all of these books, but I haven’t actually requested them from my local library yet due to the incredibly long wait times for them. Hopefully, those times will be reduced in 2019. This is a real grab-bag of genres, styles, and topics because that’s exactly what my reading habits are like in general. If you ask me, the history of how humans slowly figured out more and more effective medical treatments for various ailments is a fascinating one. 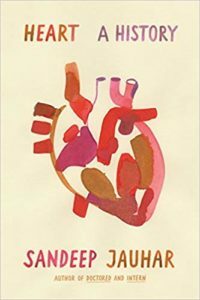 This book spends a lot of time showing how doctors came to understand the heart well enough to perform serious operations like heart transplants. Possibly feminist (or at least more modern) retellings of what were originally pretty stereotypical fairy tales? Sign me up! This book is so relevant to our current age it’s not even funny. I can’t wait to read it. People are almost certainly going to compare this to Angie Thomas’ The Hate U Give, but I’m going to do my best to avoid that. It sounds like it will have a unique spin on the topics of racism and police brutality. Genealogy is such an interesting topic. My family knows a decent amount about who our ancestors were and what they were doing over the last couple hundred years. I love seeing other families get that same opportunity, too. There’s something really cool about knowing basic things like what a great-great-great grandparent’s occupations was, how many children they had, and where they were born. I absolutely loved the Netflix series based on this book! It’s going to be a lot of fun to see how the original differed from it. My fingers are crossed that more time will be spent explaining the backstories of the various ghosts since many of them weren’t given much screen time in season one of this show. Obviously, I hope our collective future is much brighter and more hopeful than this. It’s still good to know what the less optimistic predictions are as well. Oh, this is heartbreaking. I can’t imagine separating twins on purpose simply to see how similar or dissimilar they might be if they were raised by different adoptive families and had no knowledge of each other. The best way to learn from the past is to study what happened, though. So many of you lovely Top Ten Tuesday bloggers have mentioned this book that I simply must read it for myself. Once again, a lot of Top Ten Tuesday bloggers have talked about this story. If everyone is gushing about it, it just might be amazing! Either way, I must find out for myself once the wait list for it is less than eighty years. (I’m joking….mostly. It is pretty long, though). How many of these books have you read or do you hope to read? Thank you! I hope Fierce Fairytales has been a good read for you so far. i haven’t read any of these, but Fierce Fairytales and The Sister of the Winter Wood sound interesting and have such pretty cover <3 great list! Thanks, and I totally agree about their covers. Gorgeous. Yes, the tv show could be pretty scary at times (although almost never in a gory or gross way). Definitely don’t watch it if you dislike horror. That’s how it is for me too. There are certain books on my TBR where I’m like the 100th person in line for holds at the library. Ha! Exactly. But at least that means lots of people are using the library which is good. I know, right? So pretty. Ooh I have wanted to read ‘Anger is a Gift’ too!!! I hope we both get to read it this year. 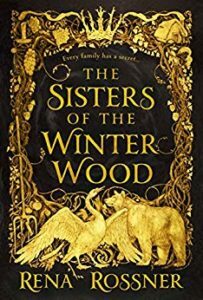 I should have added Sisters of the Wild Wood to my list! I enjoyed Haunting of Hill Housrbas well. I hope they have another season too that focuses on other characters. I have heard the book is very different but good. My fingers are crossed that will be what happens. AAHHHHHH you must read The Goblin Emperor, it’s my favourite book! I hope you enjoy it. 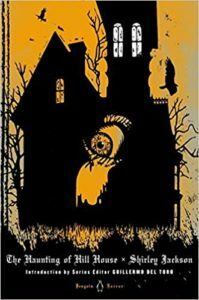 ^_^ The Haunting of Hill House is VERY different from the adaptation, but it’s an amazing book in its own right – Shirley Jackson is such an underrated horror writer. Heh, thanks. It does look good. And good to know about The Haunting of Hill House! Wow Identical Strangers looks so interesting! You are lucky to be able to borrow books! There isn’t a local library next to where I live so I have to buy books or I can’t read them. I watched The Haunting of Hill House show on Netflix and you are right, it was so good. I wish I knew it was based on a book before I watched it though so that I could read the book first. Anyway, it’s a great list you have here, hope you are able to read them all this year! You’re absolutely right. I’d never thought about it that way before. Thank you. I hope you read all of the books on your list, too, and I’m glad you liked The Haunting of Hill House TV series. Just added Fierce Fairytales to my TBR! I’ve heard such great things about The Goblin Emperor and am hoping to get to it this year as well. Ooh, I do. Thanks for the heads up. Ooooh The Goblin Emperor. I finally read this in 2018 and while I was initially lukewarm about it, by the end it had completely won me over and I understand why it is so well-loved 🙂 I hope you enjoy it when you get to it. Thank you, and I’m glad you liked it. I’m only getting more excited over it. I’ve got The Haunting of Hill House on my never-ending backlist of books I want to read. I hope you get to read it someday. You have some interesting books there, admittedly none of which I have ever heard of before, but then I don’t read much YA. I do want to try Rossner and Addison for myself too. Thanks for visiting my blog earlier! So glad to hear that. Now I’m looking forward to Sisters of the Winter Wood even more. Fierce Fairy tales sounds so good! I’ve had The Goblin Emperor on my TBR for years, I think. It’s one I always see great things about, but isn’t mentioned often enough for me to remember to pick it up. I hope you get a chance to read all of these! Thank you. I’ll do my best, and I hope you also get a chance to read The Goblin Emperor this year. It sure does. I hope you’ll be able to read it this year. Great list! I also have The Sisters of Winter Wood on my TBR. Hoping to get ti it soon. Happy reading! 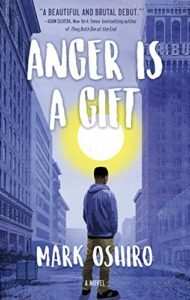 Ooooo girl, I just got Anger Is A Gift on my Kindle! Our girl, Amanda, says it’s amazing so I’m really excited for that one! That’s so exciting! I hope you and I both get to read it soon, too. Ohhh…Fierce Fairytales and The Sisters of the Winter Wood sound so good. I will have to add them to my TBR. I’m really not a horror/creepy person, but I loved The Lottery so much I might just pick up Shirley Jackson’s Hill House. It sounds so interesting and good! I also love the cover of The Sisters of Winter Woods. It’s so archaic and lovely! You totally should. Did you know The Lottery is going to be made into a movie? I’ve seen Anger is a Gift a lot the last few months. I hope it’s good. Whoo haven’t heard of Fierce Fairy Tales or Sister of Winter Wood. I’m going to add those to my tbr, thanks! Some of these look very interesting. I will have to check them out. I read Fierce Fairytales and was not impressed, I hope you like it more than I did. Thanks. My fingers are crossed that I will, but I appreciate the heads up. Sisters of the Winter Wood has such a pretty cover. I still want to read that one eventually. I read The Haunting of Hill House years ago and enjoyed it. The series was awesome as well. I have We Have Always Lived in Castles by the same author and need to work it in sometime…or maybe I’ll save it for October. I wasn’t such a big fan of We Have Always Lived in the Castle, but I hope you like it! I keep seeing The Goblin Emperor recommended everywhere. People seem to love it. I also want to check out The Haunting of Hill House but haven’t quite worked up the nerve! Great list. I haven’t read any of these but the covers are GORGEOUS!!! I think I’ll add some to my TBR on that alone! I loved The Haunting on Netflix too, and the book is on my TBR as well. Just added both Fierce Fairytales and The Sisters of the Winter Wood to my to read list. Thanks! It looks like you have a lot of great books on this list. I hope you get to read them in 2019. The Sisters of the Winter Wood sounds so good. Definitely one I’d like to check out in the future. Hope you get a chance to read these soon. Thanks. I hope you like The Sisters of the Winter Wood, too. So glad to hear that. I have no idea if you should read the book first! I will say I had no trouble at all understanding what was going on in the TV version of The Haunting of Hill House. They explained everything really nicely in the first scene. I’ve not read any of these yet either but have a bunch of them on my TBR wishful thinking list! Oh wow, Identical Strangers looks great! I know, right? Hope you like it, too! Thank you. What a nice compliment. Yes, The Haunting of Hill House was quite scary at times. I wonder if the book will be even scarier? Heart- A History looks super interesting to me too, especially as someone who’s had a lot of heart disease in the family. It’s fascinating some of the things they can do now. 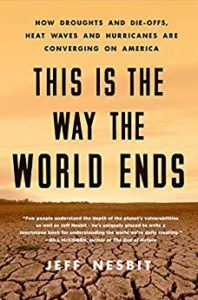 And I think This Is The Way The World Ends looks like an awesome (and probably scary) read too! I hope you enjoy both of them if you read them. Heart disease is such a common medical problem. I loved The Haunting of Hill House, too, but I’m a little skeptical about reading the books. I hope you enjoy them as much as the show. It doesn’t seem to be as common as sticking to one or two genres. It’s nice to meet you, too! I haven’t read any of these, but Sisters of the Winter Wood has been on my list for awhile! I hope you get to read all of them soon! Thank you. I hope you like Sisters of the Winter Wood. I hope you can. So glad to hear Sisters of the Wind was a good read. You’re quite welcome. I’m going to do my best to find a copy of it. Ooh nice looking books! These are all new to me ones! I hope you’ll be able to read them all this year! Heart — a History sounds interesting. 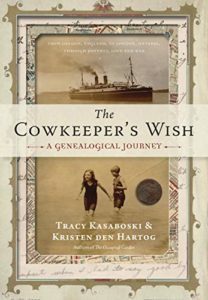 Genealogy can be fascinating too. Most of these books are new to me. I always find it interesting when that happens. Thanks for stopping by. Hope you’re able to read Anger is a Gift! It’s a good book. As soon as the wait list goes down for it, I will be requesting it. Great list! I love the twist of making them library books. Haven’t read any of these books yet! I looked up Heart A History and that looks like my type of book to read! Also, The Goblin Emperor looks really good too! I’m glad those two titles caught your eye. Happy reading! Really original idea with the library books. Hope the requests come through quickly! That’s good to know! What didn’t you like about it? I definitely have to add Fierce Fairytales to my TBR pile! I’ve never heard of any titles on this list, but that’s really interesting! Have fun reading! I hope you enjoy This is the Way the World Ends. You’ve got a really interesting list! I love Haunting of Hill House (everything by Shirley Jackson actually). 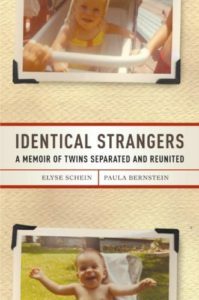 Is Identical Strangers the same as the documentary film about the triplets? I found that fascinating. Enjoy your reading! I actually don’t know if Identical Strangers is the same as the documentary film. That’s something I’d sure like to figure out. Great list! The Haunting of Hill House was incredible. I feel like I should let you know that, sadly, the various ghosts aren’t from the book — it differs HUGELY from the show — but that doesn’t stop it from being an amazing read! I hope you like it. 🙂 Thanks for stopping by my TTT this week! Oh, that is so good to know. I’d just assumed they were the same ghosts that were in the book. I’m still excited to read it, though. I have not read any of these but some of them have some really eye catching covers! Fierce Fairytales & The Sisters of the Winter Wood in particular. Thank you! I hope you like them if you read them. The Haunting of Hill House is SO GOOD! And Fierce Fairytales is now on my wishlist thanks to you, so thank you! Did you like the novel version of The Haunting of Hill House more than the TV show? I’m so curious to see what the differences are between them. Yes, for sure. Thanks for stopping by. So many of these sound wonderful. Fierce Fairytales, The Cowkeeper’s Wish, and The Haunting of Hill House all need to go on my wish list. Thanks for sharing. Hope you get to read them. You’re quite welcome. I’m going to try to read all of them, and I hope you enjoy the ones that caught your attention. 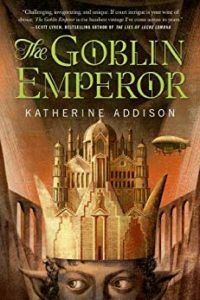 Great post and a great list of books I’ve been intrigued about The Goblin Empire for a long time now, I hope you get the chance to read all these books on your TTT list. Thank you so much for stopping by my TTT post. You’re welcome. I’m sure going to try to read all of them. I’ve not read any of these yet either, but they all sound really good. Thank you very much! I hope you like Fierce Fairytales. I actually hadn’t heard of any of these before today, but I just added a few to my amazon wishlist! Great list! Yay! I’m so glad to hear that. You’re welcome. Interesting list! I wasn’t familiar with most of them, but the Sister in the Woods looks so interesting! I received a sampler of it in a book box some months ago and I really liked it so I have to get back to buying the book someday! I hope you’re going to like all these books when you get around to reading them! Thank you very much. I hope you enjoy The Sisters of the Winter Woods. 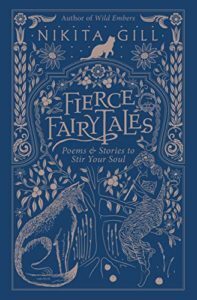 Fierce Fairytales: Poems and Stories to Stir Your Soul by Nikita Gill sounds SO fun! Retellings are awesome! Great list! Thank you. Yes, that book does sound like a lot of fun. Hope you like it. I also intend on reading The Haunting of Hill House. Great post! Oh, the original Grimm’s Fairy Tales are great (if a little gory at times). I think you’d love Fierce Fairy Tales. Thank you very much. I do hope Anger is a Gift is a good read. I think it will be! Wow. I have used four of these books for next week’s TTT post: The Ten Most Recent Additions to my To-Read List! I think you and I could make a good reading team! Thanks so much for stopping by my own TTT listing for this week so that I could see your blog! That’s awesome, Lynn. You’re quite welcome. I think you have a wonderful blog, too. Such a neat list–so many genres! There are many beautiful covers in your TBR as well. (The Sisters of the Winter Wood is just beautiful!) Hope you hare able to read many of these this year!! I’m so glad to see The Goblin Emperor on this list! I really loved reading it in 2016. We don’t have enough stand-alone fantasy. The rest of these books are new to me, but I’ve added a few to my own TBR. I’m glad we both took a bit of a library spin on this week’s TTT. Great post! Thank you! Your post was great, too. Good luck getting them from your library. Ooh haven’t heard of Heart before but it sounds interesting! I have been patiently awaiting Anger is a Gift from my library. It sounds so good! I would definitely like to read The Haunting of Hill House. Hope you get the time to enjoy some of these treasures soon, happy reading! Thank you! I hope you like The Haunting of Hill House. I’ve seen Anger is a Gift around a couple of times. I’m hoping to read it someday! Oh my, Fierce Fairytales sounds amazing — great picks and a whole heap I didn’t hear of before. Thank you very much. Hope you like it! The Goblin Emperor is one of my all-time favourite books. I hope you enjoy reading it as much as I did! Thank you. So glad to hear you loved it. What a fabulous list of books! I will look for some of these. Thank you for bringing them to my attention. Thank you for sharing these with us! I will look for some of them. 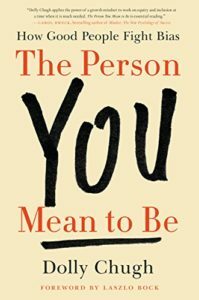 I am also planning on reading The Person You Mean to Be. Heart: A History looks amazing. I need to add that one to my list. The Haunting of Hill House is great! I hope you enjoy that one. Yay! So glad to hear that. I hope you enjoy The Person You Mean to Be. The Haunting of Hill House is one of my favorite horror stories. Quite different from the show but fantastic in its own way. Hope you enjoy it when you do read it! That’s awesome. Thank you. Now I’m even more excited for it. Awesome. Clicking over to your link now. Ooooh I have a couple of these (Anger is a Gift & Haunting of Hill House) on my TBR that I really want to read! Thanks for telling us about Fierce Fairytales though! That sounds so good and is definitely going on my TBR. And of course thanks for stopping by my post! I’ve heard great things about The Goblin Emperor. I am super curious about that one. Great list! Thank you. Yes, a lot of people really seem to love it. I have heard great things about Anger is a Gift and Sisters of the Winter Wood! I feel like I actually want to watch Hill House before I read it, which is unusual, but here we are haha. Anyway, I do hope you are able to get to some of these soon, and that you enjoy them too! Thank you. I hope you’re loving the Haunting of Hill House. It’s so spooky. The Haunting of Hill House was such a good show! I need to give the book a read as well! Wasn’t it?! I hope the book is just as good.